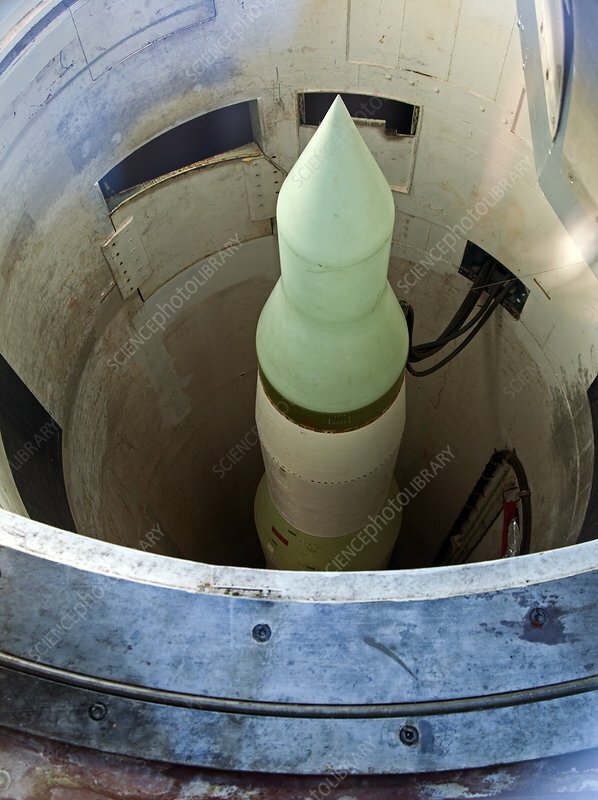 Minuteman II missile in its underground silo at the Minuteman Missile National Historic Site, Cactus Flat, South Dakota, USA. Over 450 Minutemen II missiles were stationed across the US ready for launch against Russia during the Cold War. The missiles became operational in 1965 and were deactivated in 1994.